Margaret Atwood, how do I love thy writing, let me count the ways. It's Margaret Atwood I have to thank for the inspiration to start writing this blog now I think of it and I keep a picture of her near to my desk to remind me. I had an unusual viral neuritis episode a couple of years ago which settled on the nerves in my neck and arms and kept me off work for six months, unable to drive and equally in too much pain to sleep. After mystifying doctors and caving in pitifully and feeling far too sorry for myself for a few weeks, I suddenly gathered some resolve together and took to all-night reading. Occasionally I'd make some real cocoa (only this would do for some reason) switch on the news and follow the hourly bulletins on the demise of footballing legend George Best. Then I'm sorry to admit that I'd think uncharitable thoughts, of which I'm not proud, when I heard George "was sleeping peacefully and not in pain". It was time to get back to the distractions of the Battle of Austerlitz, because I tucked War and Peace under my belt in week one. 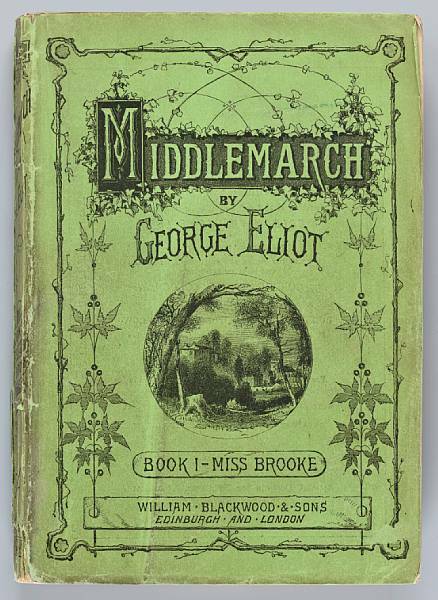 This was swiftly followed by a raft of Trollope's Pallisers and then the entire oeuvre of Margaret Atwood in succession from first to last seemed like a great idea. Peggy and I became really good friends, although she doesn't know this, but I had suddenly accessed a new reading plain and completely understood her writing. It was as if I had refocussed a blurry lens and could now see quite clearly. 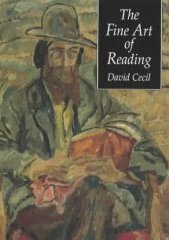 I've just been reading an enlightening little book from Souvenir Press by David Cecil called The Fine Art of Reading. David Cecil voices that same sensation far more eloquently, which you'd expect from his inaugural lecture as Goldsmiths' Professor of English Literature at Oxford in 1949. "The spirit experiences an extraordinary sense of expansion and exaltation when, after a long and arduous process of self-adjustment, it suddenly finds itself responding for the first time spontaneously and delightedly to a hitherto unappreciated author"
Of course I'd have much preferred not to have been ill to discover that The Blind Assassin left me hyperventilating and Oryx and Crake had me reeling, but, silver linings and all that, I also knew that there were probably plenty of other people out there who thought likewise, and if they didn't I'd better get out there and tell them. I moved on to read CanLit in general and made some wonderful discoveries about the literature of this amazing country and finally discovered The Stone Angel by Margaret Laurence and the irascible nonagenarian Hagar Shipley. 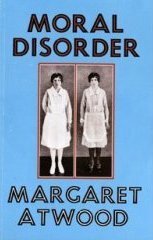 Moral Disorder by Margaret Atwood has sat on the shelf for almost a year waiting to be read and I picked it up as I sought a prescription for my recent bout of dontknowwhattoreaditis.It's going to sound corny but it was like reading an old friend and Peggy has not disappointed one iota. I was immediately tuned into that Peggy wavelength and with it came that strange sense of optimism I had when all this was happening before, the power of books can never be underestimated it would seem. The book is a collection of short stories several of which shape up into part novel and the rest stand alone. Vintage Atwood seems too much of cliche but they are written with her usual eye for the slightly unusual, the off-the-beaten track moment that pulls you up short and makes you stop and think. Margaret Atwood notices the odd things about people, those traits that can be missed unless you look closely.Perfect prose and neatly into the swing of things by page two. "..if Tig must respect my need to wallow mindlessly, free of all bad news, before the first cup of coffee, shouldn't I respect his need to spew out catastrophe so he himself will be rid of it? 'Oh. Sorry,' he says. He shoots me a reproachful look.Why must I disappoint him like this? Don't I know that if he can't tell the bad news to me, right now, some bilious-green bad-news gland or bladder inside him will burst and he'll get peritonitis of the soul? Then I'll be sorry." Well, it takes my breath away, because tell me how anyone could describe that any better and then tell me who but Margaret Atwood could write it just like that?